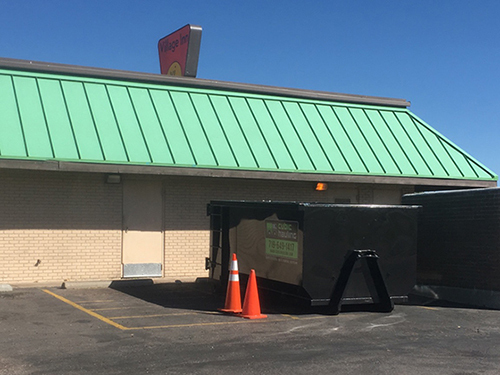 We offer dumpster rental, junk removal, recycling, construction clean-up, waste removal, realtor & property manager plans, for commercial and residential customers in the Colorado Springs area. Cubic Hauling has many options for our customers. We will take the time to determine what the most cost effective dumpster size is for your project. 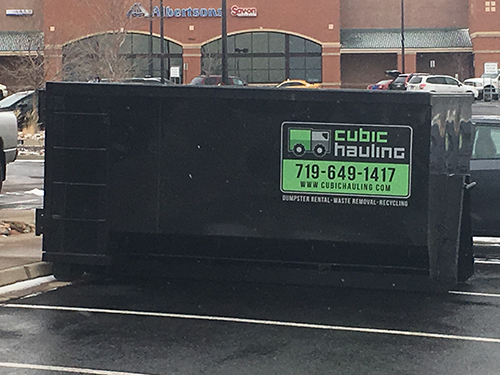 Please call Cubic Hauling at (719) 649-1417 so that we can create and implement the proper roll off dumpster solution for your waste removal needs. 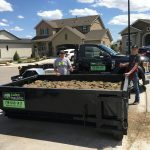 Cubic Hauling has the dumpster rental solution that is the perfect fit for your job in Colorado Springs – commercial, industrial, or residential. Construction Clean-Up: Construction site clean-up at various stages of progression ensuring progress of the construction site is flowing and non-stop. Contractors: Limited space construction sites, construction materials demolition and tear out. Homeowners: Basement, garage, yard clean ups and “do it yourself” projects. Homebuyers and Sellers: Debris left from both move in and move outs. 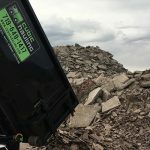 Hauling Service: Once all the junk, trash and garbage have been collected in one location, it’s time to remove it with an efficient hauling service. Industrial & Recycling: Dumpsters designated for specific materials to be recycled. On-Demand Labor: Labor force for loading trash into bin, light demolition, material sorting. Property Management: Clean up after tenant. Restoration Companies: debris from hail, water, wind storm damage. Roofing Companies: Shingles and other debris from roof tear offs and replacements. 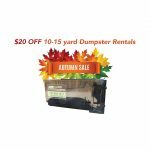 Waste & Garbage Disposal: Our dumpsters are ideal for waste and garbage disposal. New Equipment: Clean and freshly painted dumpsters and trucks that perform well, and are easy on the eye. “We Go Where the Others Cannot”: Our mini dumpsters are hauled by 4×4 trucks that can get to nearly any location, under any conditions, and then precisely place your dumpster where it will be convenient for you to load. Professional Staff: Experienced and knowledgeable staff, that is committed to service that exceeds customer’s expectations.